Note: This blog post is intended for informational purposes only and should not be used in place of professional treatment or diagnosis from a doctor, therapist, or other expert. 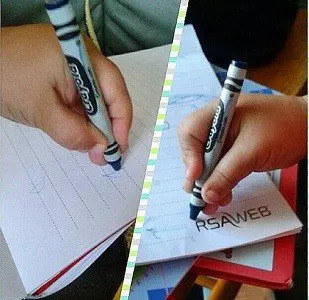 For the most part, children aren’t known for their neat and legible penmanship. Kids’ handwriting usually leaves quite a bit of room for improvement—but that’s okay. After all, they’ve only just learned how to do it! But when does normal kid writing become a cause for concern? While children all learn and develop at their own pace, especially when it comes to complex tasks like writing, some find themselves falling especially behind their peers or with particular difficulty in writing and penmanship. This might be a sign of something called dysgraphia. What Is Dysgraphia? What Causes It? Dysgraphia is a disability marked by difficulty with handwriting, usually due to issues of comprehension, fine motor skills, or both. Dysgraphia can manifest on its own, but in the majority of cases it is accompanied by other conditions such as dyslexia (difficulty reading), attention deficit disorder (ADD), speech impairments, or developmental coordination disorder. Dysgraphia is typically genetic or otherwise biological in nature. It can be caused by brain abnormalities, traumatic brain injuries, abnormal muscular or nervous development, and other conditions. It may also be related to dyslexia or other learning disabilities; some children have been known to use intentionally poor handwriting in an effort to distract from or cover up an underlying issue. Not each of these symptoms will be present in every case, and they may occur in isolation or clusters. Many children with dysgraphia also experience stress, frustrations, and anxiety related to their difficulty writing. This stress could manifest itself in other ways, such as poor academic performance or acting out. It should also be noted that dysgraphia, whether accompanied by other difficulties or not, has no relation whatsoever to intelligence or cognitive ability; many gifted children struggle with dysgraphia and similar issues. When Does Dysgraphia Present Itself? Dysgraphia may present itself as early as preschool, when children will have trouble holding crayons, drawing, tracing, writing, or performing similar motor tasks. Dysgraphia can also present itself later in elementary or middle school when writing tasks become more complex. The exact average age of onset is difficult to know exactly, since many children with dysgraphia go undiagnosed for years, even into adulthood. How Do You Treat Dysgraphia in Children? A child writing on a piece of lined paper with the help of a therapist from Cheshire Fitness Zone. The first step towards treating dysgraphia is having it properly diagnosed. 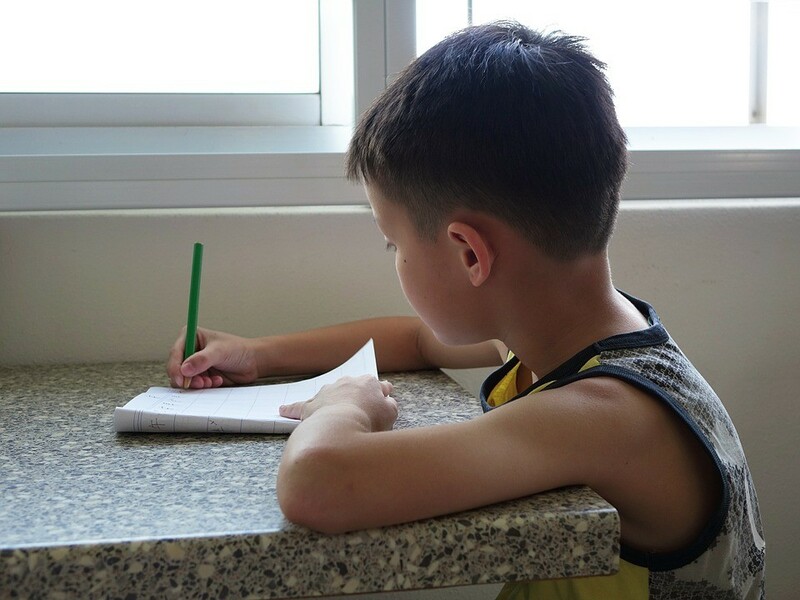 If you know a child having excessive difficulty with handwriting or penmanship, consider an appointment with a professional such as a doctor, psychologist, therapist, or other expert in learning disabilities. Once a child has been properly diagnosed by a licensed professional, treatment can be tailored to their needs and the causes of their specific dysgraphia (dyslexic, motor, or spatial). Very often, treatment is offered by occupational therapists. What is Occupational Therapy? How Does it Help with Dysgraphia? Occupational therapy is a form of therapy that helps with the development, recovery, or maintenance of daily life skills. Occupational therapists may help to improve a child’s handwriting by addressing motor function, muscle memory, offering verbal instruction, working on posture, and more. If you’re in Connecticut and you’re interested in learning more about occupational therapy for a child with dysgraphia, handwriting problems, or more call Cheshire Fitness Zone today. With convenient locations in Cheshire and Meriden, Cheshire Fitness Zone offers pediatric physical therapy, speech therapy, occupational therapy, and more. Get in touch to learn more with the form below.